I just finished reading the book “Nothing Stays Buried” by P.J. Tracy, and now I’m starting “Monkeewrench” by the same author. P.J. Tracy is a pseudonym for a mother/daughter duo. I received “Nothing Stays Buried” as a gift and really enjoyed it. I discovered the book is the latest release in a series, so now I’m going back to read first book in the series. 2. What do you enjoy the most about the book? I love mysteries, so this was a good one. I like that it had several lead characters, and the reader gets to hear from each of them in their own voice. I enjoyed finding out how each of the characters are connected. 3. Why would you recommend this book to others? Yes, I would recommend this book especially to mystery lovers. 4. 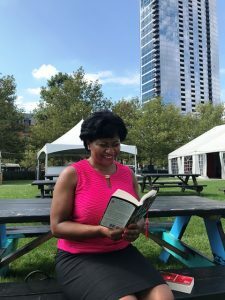 What authors are you excited to see at this year’s Baltimore Book Festival? I’m looking forward to seeing April Ryan with Bill Whittaker. I think that will be a good discussion centering on current events. 5. Can you provide any tips for first-time attendees? First-time Baltimore Book Festival attendees should be prepared to stay for a couple of hours. There is so much to do. From music to food to literary games, the festival is really a great place to spend the day. 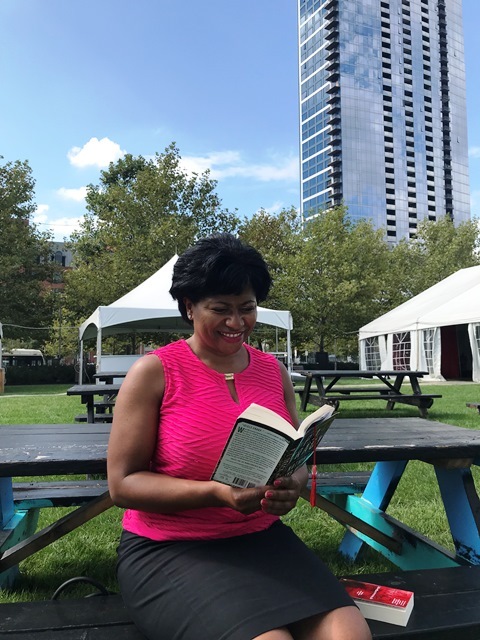 The Baltimore Book Festival returns to Baltimore’s Inner Harbor through Sunday, September 30, 2018 from 11am to 7pm daily. The literary arts celebration features acclaimed local, regional and national authors, readings on multiple stages, cooking demonstrations and samplings, workshops, panel discussions, storytellers, children’s activities, the annual Storybook Parade, live music, and food and beverage. Visit www.baltimorebookfestival.org.